Leave it to Burberry to create a pullover sweater beyond expectations. This traditional classic crew neck cut in a merino wool and silk-blend, with generous use of ribbing. Rib trim is used on not only the traditional cuffs and hemline, but on the elbows, shoulders and sides as well — designed to create a fitted look. 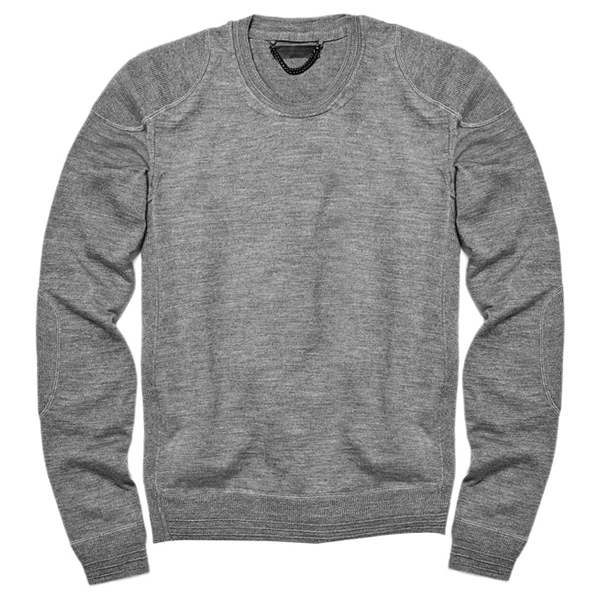 All in a classic heather gray, the luxury “sweatshirt” can be layered over a contrasting colorful button-up for a perfect look. And it can be yours for $625 via Mr. Porter or selected Burberry locations.